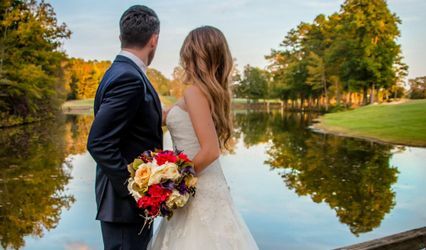 Pine Lake Country Club is a wedding venue located in Charlotte, North Carolina that will give you a picturesque backdrop and memories that you will cherish for years to come. 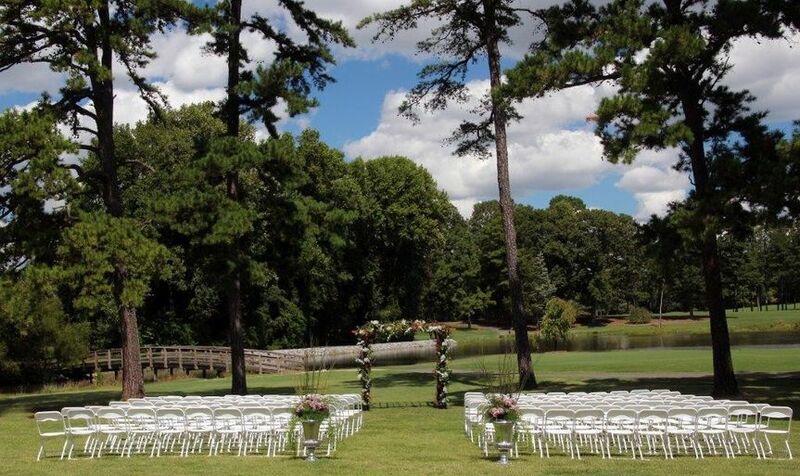 This country club is one of the finest treasures in the southeast Charlotte area, offering 157 acres of natural beauty tucked away in the heart of Mint Hill. 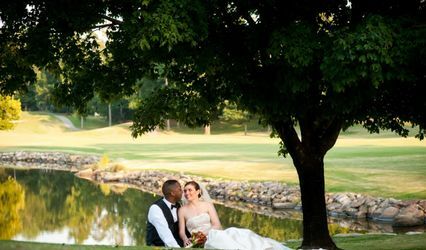 Pine Lake Country Club has plenty of indoor and outdoor spaces with breathtaking views of the golf course that will accommodate both small gatherings and large-scale events. 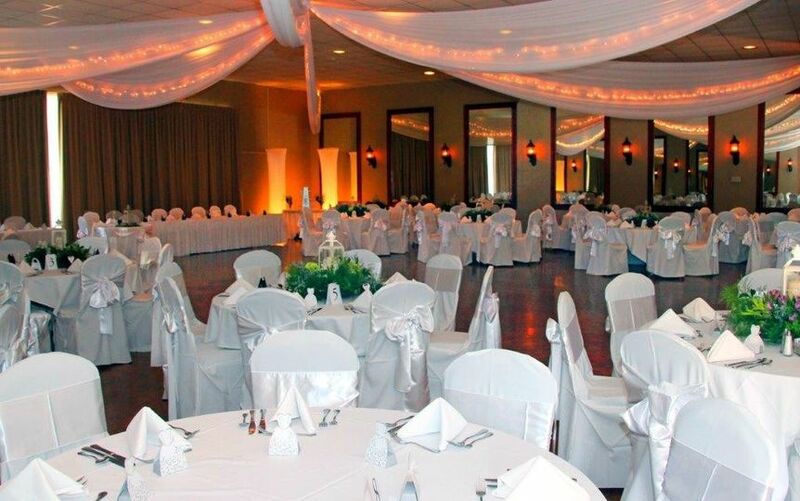 Their ballroom is their largest facility, boasting timeless faux wood flooring and large windows. 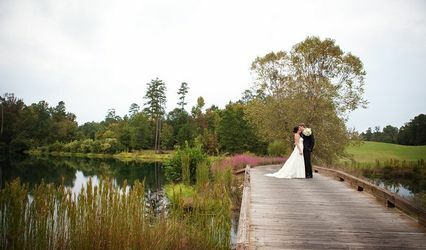 It offers grand views of the green grounds and lake, accommodating up to 225 guests. The dining room is a more intimate space that features tall wooden vaulted ceilings and a stone fireplace that creates an inviting atmosphere for rehearsal dinners, cocktail hours and can be used for additional reception seating. 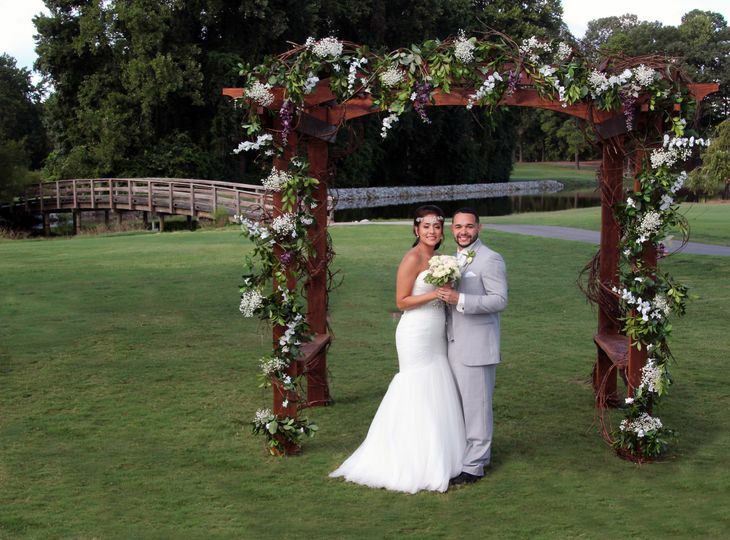 You can host an outdoor ceremony on the Ceremony Lawn, which overlooks the lakes and bridges right off the 9th hole. 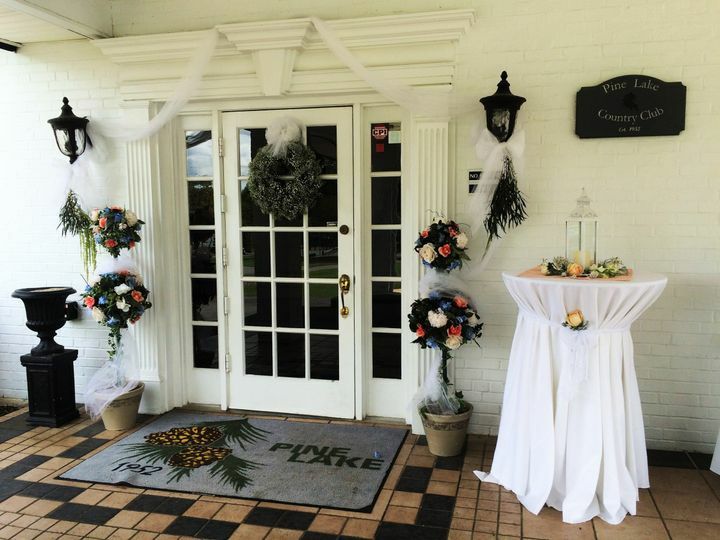 The Pine Room and Columbia Room are smaller spaces that can be used by the bridal party as a bridal suite or lounge. 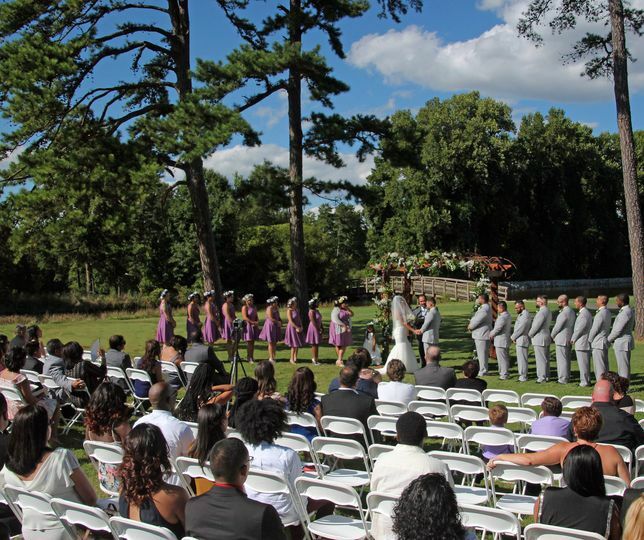 This venue has an in-house event coordinator that will make sure your day is fully enjoyable and stress-free. They will guide you through the whole planning process with the help of friendly staff and top-notch amenities. 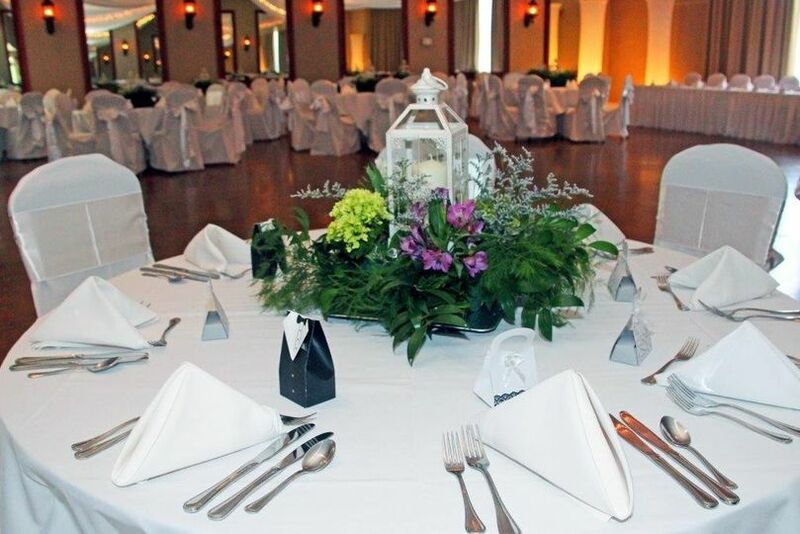 Pine Lake Country Club offers in-house catering and alcohol through their variety of wedding packages, making sure they provide you with something that suits your wedding style and budget. Their delicious culinary selections range from buffets to plated dinners. This course was originally built in the early 1960s, now providing golfers with an 18-hole, 72-par course with picturesque scenery. It underwent extensive renovation by renowned architect John LaFoy, who had a reputation as a devotee of Donald Ross. 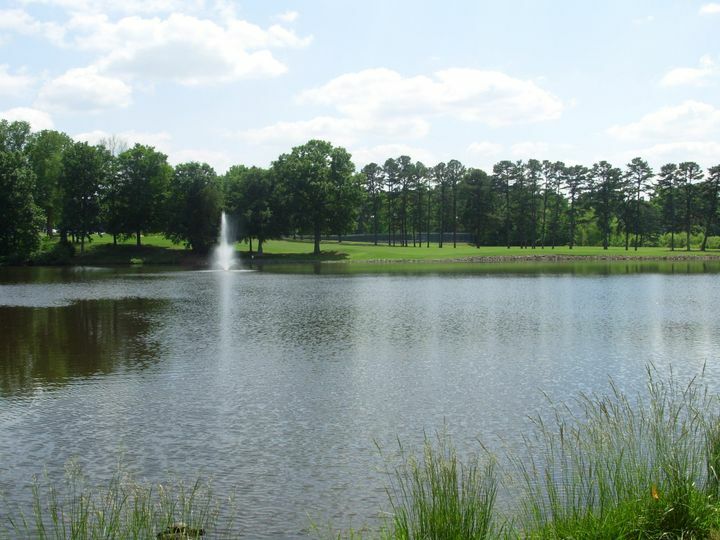 Situated in the small town of Mint Hill, Pine Lake boasts beautifully manicured tree-lined fairways, rolling hills and five freshwater lakes. This newly renovated clubhouse is just 12 miles from Center City Charlotte and is easily accessible through the I-485 loop. They had everything ready for us with absolutely no struggle. We told Olivia exactly what we wanted done and she went above and beyond! 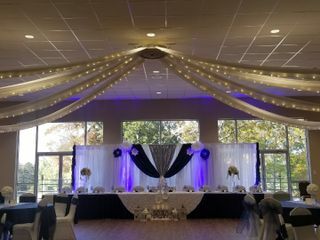 She made sure our food and beverages were all taken care of and that the room was set up exactly how we wanted it before we even arrived to decorate! Steve helped us the day of and WOW was he amazing. He was there as soon as we were, making sure everything was to our liking. He arranged the food and beverages around our decorations. He even cut our cake for us and picked up dirty dishes as people finished their plates. As the bride open gifts, he made sure we had a trash bag for loose wrapping paper before I even thought about it. They had everything thought out and ready before I even had a chance to worry about anything! 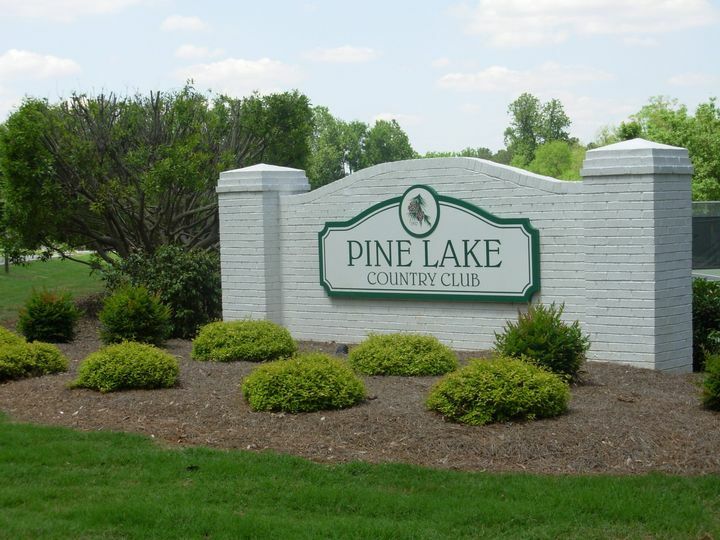 I was continuously impressed with the level of professionalism and courtesy we were shown while hosting at Pine Lake. I cannot recommend this enough! Especially Olivia and Steve. They were the ones who really made the day perfect!